Administer Medication Milton | Pet Medication| Redwood Pet Resort Ltd.
For all types of medication, vitamins or supplements we ask that you provide detailed dosing instructions, detailed notes on dose frequency, the name of the medication, the vet clinic who prescribed the medication and the reason why your pet needs the medication. 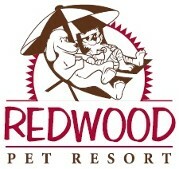 Our resort and staff assume no responsibility for any health issues, illnesses or fatality when medicating your pet(s). We only medicate your pet upon your request. If you have any questions on our how we administer medication, vitamins and supplements, give us a call. We are happy to answer any of your questions.